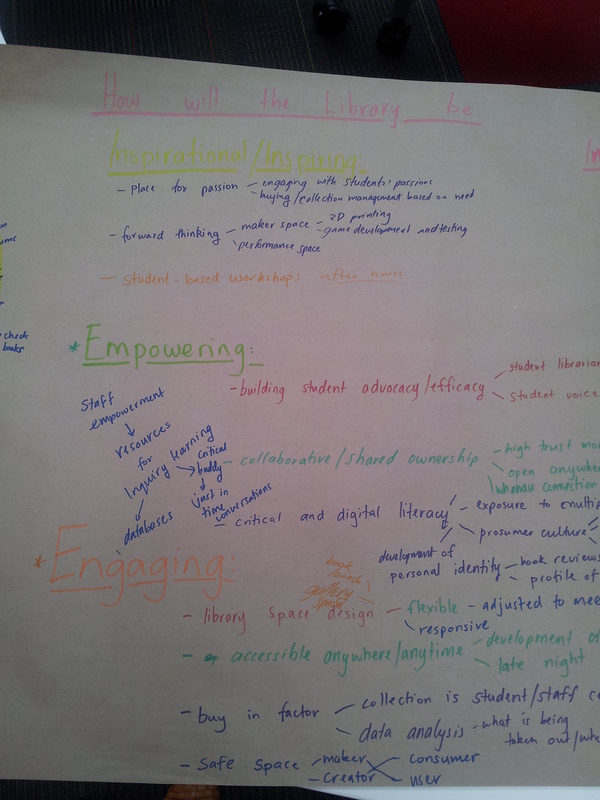 Over the past three weeks the vision for our library has been at the forefront of my mind. Settling down to the nuts and bolts of book buying and equipment/technology installation has made this journey feel even more real. It helped me consider the underpinnings of the decisions we were making about the library space, and through discussion with Mark, to come up with some concrete reasons for our nuts and bolts. I have been privileged enough to be able to draw upon the expertise of Mark, Sharon at Albany Senior, Rose at Ormiston Senior, Leigh Abraham – my partner in crime and the National Library team. 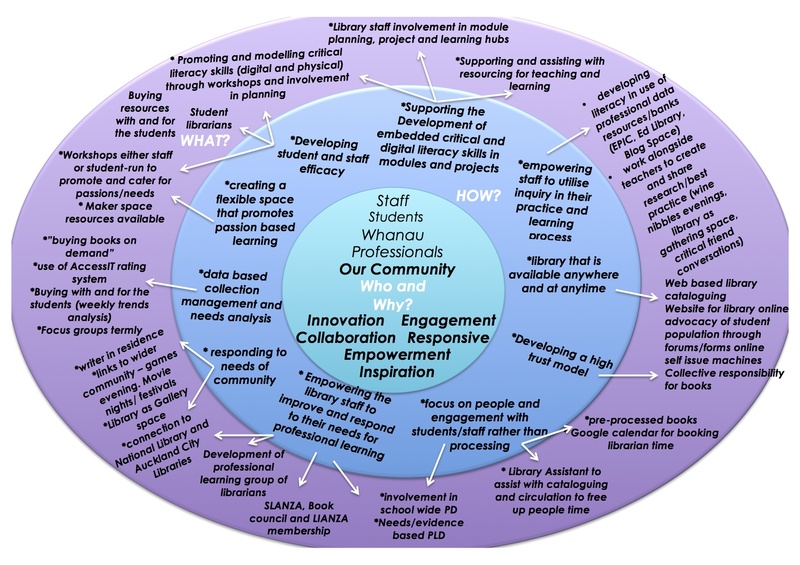 And alongside some thought provoking conversations with staff, friends, family and the wider educational community – the “why” of our library has begun to emerge. Those who are most successful lead with what they believe (Sinek, 2009). Every action, decision and process is underpinned directly with the beliefs that they founded their company/school/idea on. This resonated loudly within the context of our school. However, whilst we had already decided on self-check machines with no security gates, open spaces, flexible furniture and student based resource buying – we had not necessarily specified why. 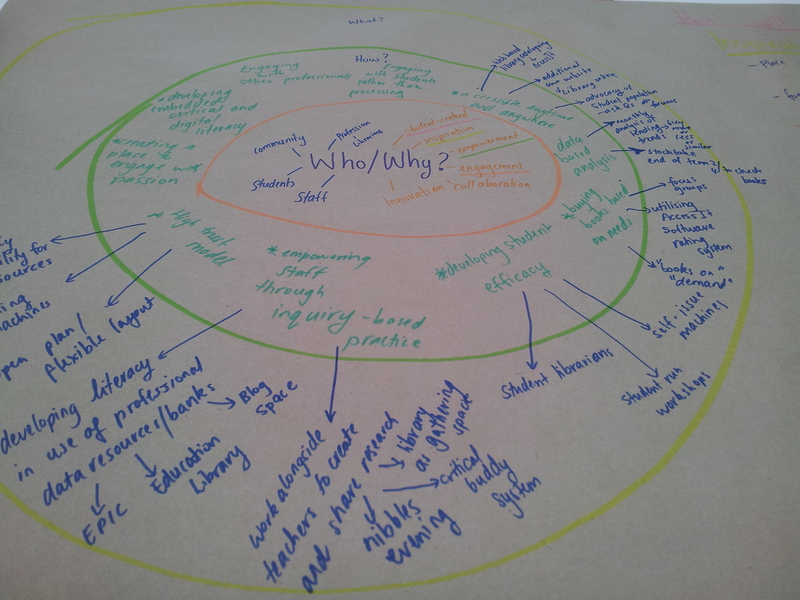 Then expanding out, this became the basis for a set of beliefs that underpinned the library decision making. The “nuts and bolts” began to flow more quickly and easily once they were explicitly underpinned by our values of empowerment, innvoation, inspiration and serving our community. 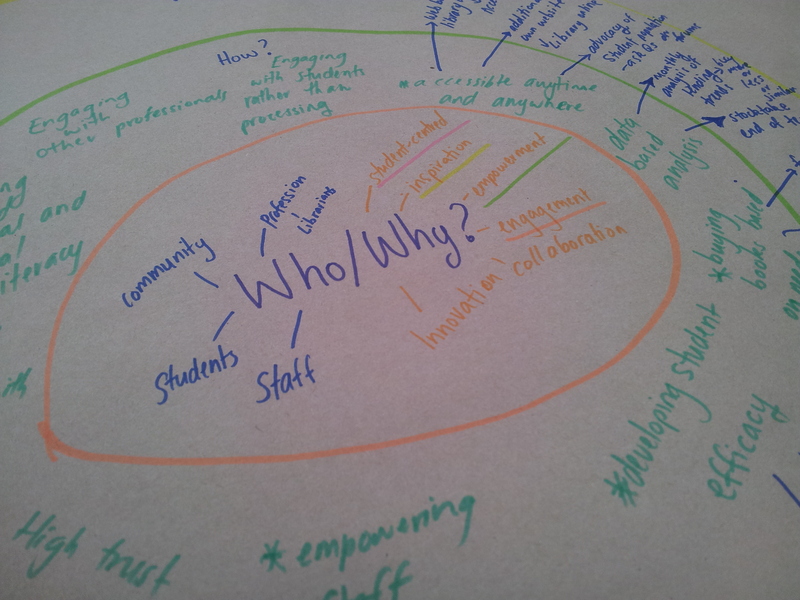 The true test will be how this vision is enacted in our school next year. Monday was an auspicious day – we meet our foundation students. An amazing group of young adults, that were buzzing alongside the staff. Meeting potential student librarians and hearing from students who have had the library as their mecca and passion place – made this vision come to life for me. I can feel more confident in the “nuts and bolts” and look forward to seeing how it plays out.